A week ago, we arrived to the Managua International Airport – my husband and I, along with our two young kids. Everything was just as always, except we didn’t see any other surfers at the airport. We arrived at 9pm, so we stayed in a hotel near the airport. In the morning the hotel that was always full of backpackers and other tourists every other time I’d stayed there, was empty. We enjoyed the hotel breakfast and our smiling driver, Gustavo, greeted us happily. He asked when the Amigas were coming back, reminding me how hard it has been for everyone who works in tourism over the last 6 months. After loading all our luggage, we drove through Managua. I had my eyes peeled for any sign of anything different, but didn’t see anything. I saw some police around and some people selling flags – both Nicaraguan and the type representing the President’s political party. Nothing too out of the ordinary. We stopped at Pricesmart (Nicaragua’s Costco equivalent) to do some shopping. There were many fewer gringos (essentially none) than I am used to seeing, but it is October which is always a low season since it’s the height of the rainy season and many gringos use this time to go home and visit families or do other travels. In talking to other gringo friends, I hear many are returning in November. We made it to our home without any issues at all. We felt completely safe. It was all easy and fine. Since getting back, I’ve been surfing almost every day. This time of year the waves tend to be a bit bigger and can be stormy but we’ve also had some really good days. Another thing I’ve noticed is the complete lack of crowd. Of course it is October, which again is normally a time of lower crowds, but last year there were still plenty of surfers around. These days i’ve been looking for people to surf with, and mostly surfing completely by myself! 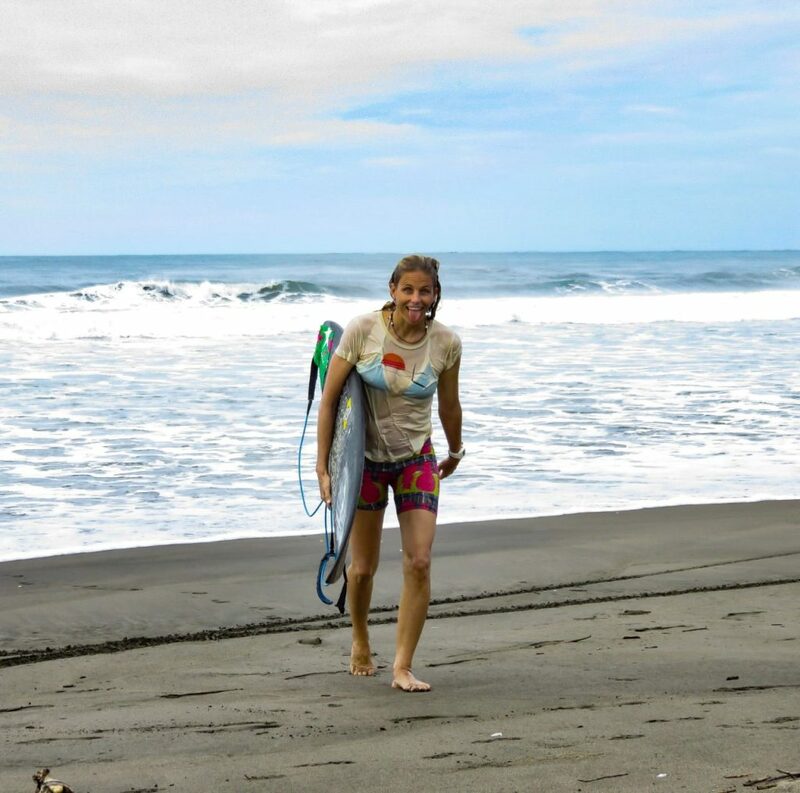 After two weeks soaking up Nicaragua, I’m off to Costa Rica to surf with Amigas for a few months, but will be coming back with the family in mid January for a month. We are hosting a retreat for all levels and both genders the week of Feb 9-16 at our old home base and I’m super excited about it. I needed to see it and experience it for myself before being able to assure you that it’s totally safe to visit and now is a great time to experience real Nicaragua. 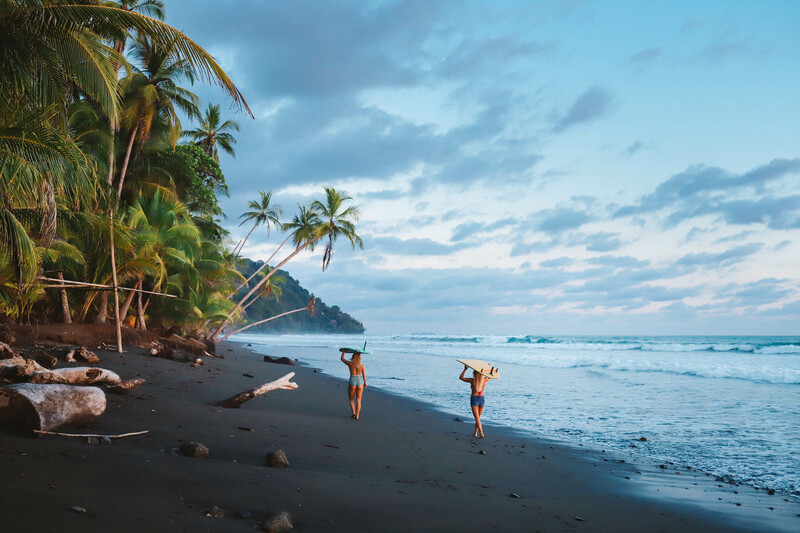 The empty beaches, uncrowded warm waves, and super friendly people await. Come join us!